IN-LAW ALERT! 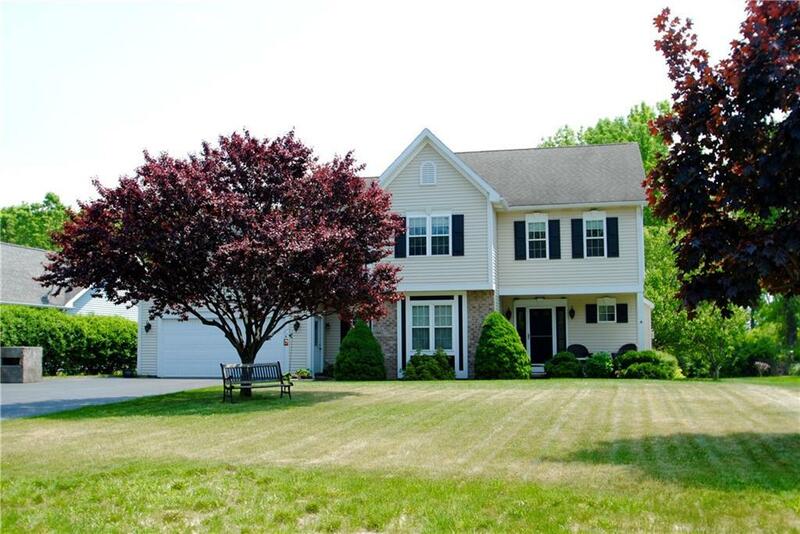 This 3 bedroom Colonial with 4.5 bathrooms & an in-law has a perfect layout & so much charm! Ideal open-concept living, featuring an enormous Great room w/ cathedral ceilings, floor to ceiling windows offering ample light & gas fireplace. Great room is open to the huge eat-in kitchen w/ breakfast bar & tons of cabinet/counter space. The flow continues into the large formal dining room featuring a beautiful tray ceiling. Fantastic additional features include spacious bedrooms, gorgeous hardwoods, first-floor laundry, tons of bathrooms, walkout basement, fantastic in-law, the list goes on. You'll love to entertain w/ the great outdoor space. Large deck overlooking the spacious, private yard & above-ground pool. Perfect location, you'll be sure to enjoy Long Pond all year round! Nearest Cross Street Edgemere Dr. Listing information © 2019 CNYIS, GENRIS, WNYREIS. Listing provided courtesy of Sharon Quataert Realty.